With schools breaking up for summer this week, we’ve been searching for the best ideas for your school holiday children’s menus. 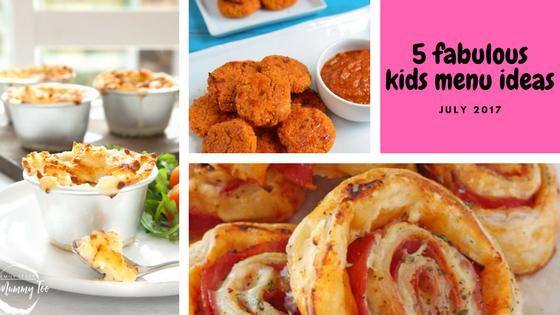 We know that the summer holidays are a really busy time for lots of our customers as they benefit from tourist and school holiday trade so we’ve pulled together our top 5 fabulous children’s meals ideas to help freshen up your kid’s menu this summer. Parents are always on the lookout for child- friendly cafes where they can relax with their children and friends. For many tourist attractions and towns this summer, their cafes will be packed with families enjoying the holidays (and hopefully some sunshine!). Why being child friendly is good for business? Today, children’s menus are not just fish fingers and chicken nuggets (although don’t get me wrong, a homemade chicken nugget is a beautiful thing!). Parents attitudes towards food and their children’s expectations have changed. This has meant that chefs and cafe owners have had to start investing in their youngest diners. By putting effort into your children’s menu, you will not only have happy children in your cafe but happy parents, who will tell their all their friends and return with their families. 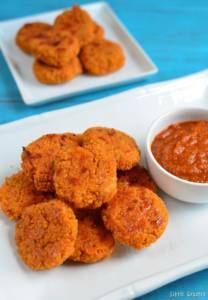 This fabulous finger food recipe is brought to us by blog Little Grazers. A great addition to any children’s menu. 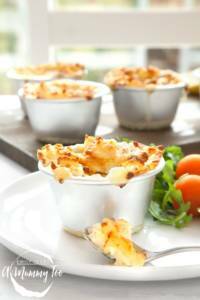 A Mummy Too suggests this great tasting fish pie recipe with a fluffy potato topping. Great for kids and parents too. Defrost the fish pie. This will take an hour or two, depending on the temperature in your kitchen. To make the white sauce, put the milk, flour and butter in a saucepan and whisk over a medium heat until it thickens slightly. Mix in the lemon juice, salt, pepper and mustard. Mix in the half the cheese and set aside to cool. If you’re making a family size fish pie, you can use the fish straight from the pack, but as these are mini pies for kids, use kitchen scissors to snip the fish into half inch pieces. Divide the fish between eight pie moulds. You may get one or two more or less depending on the size of your moulds – use your judgement and don’t over fill them. Divide the peas between each mould. Pour the cooled sauce into each mould, stopping about 1cm from the top. Cook the potato in the microwave according to the pack instructions. Top the pies with the potato and the remaining cheese. Bake in the oven for 25 minutes until golden and bubbling. Enjoy! Make sure the pie moulds are cooled enough to be safe before serving to children, or spoon the pie onto the plate. My Fussy Eater thinks these Ham and Cheese Roll Ups work great both hot or cold. 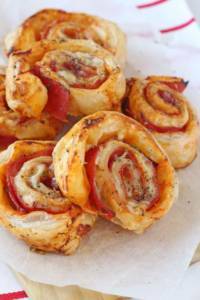 Using kitchen staples of pizza sauce, cheese, ham, egg and mixed herbs, these roll ups are sure to be a hit with children! These quick and easy Pesto Pizza Quesadillas are a popular addition to your children’s menu. The recipe is one of many on the fabulous Eats Amazing blog – just add grated cheese, pesto and a few veggies to a tortilla wrap and cook. Ready to eat in less than 5 minutes. If you’re looking for an easy summer addition to your children’s menu, why not try these tasty frozen yogurt pops! Simply add yogurt, fruit and granola, freeze and serve. A great healthy treat on a sunny day this summer. If you would like to find out more about the Dunsters Farm child friendly product range or how we can help your café improve their offering to parents and children, call our friendly team today on 0161 763 7900 or email info@dunstersfarm.com for more information.